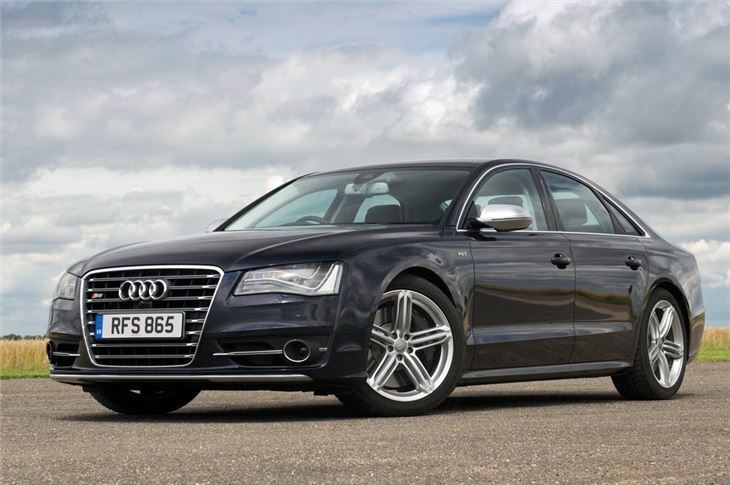 High performance S8 gets twin turbo V8 with 520PS. Plus version has 605PS. Remains relaxing and comfortable when driven gently. Not cheap at more than £75k. The Audi S8 is the new head of the Audi S model family, a large and luxurious saloon that can deliver sublime comfort or supreme excitement as required. The new 4.0-litre TFSI in the S8 generates no less than 520PS and delivers a constant 650 Nm of torque to the crankshaft between 1,700 and 5,500 rpm. The result is outstanding performance: the sprint from zero to 62mph takes just 4.2 seconds, and top speed is electronically capped at 155mph. 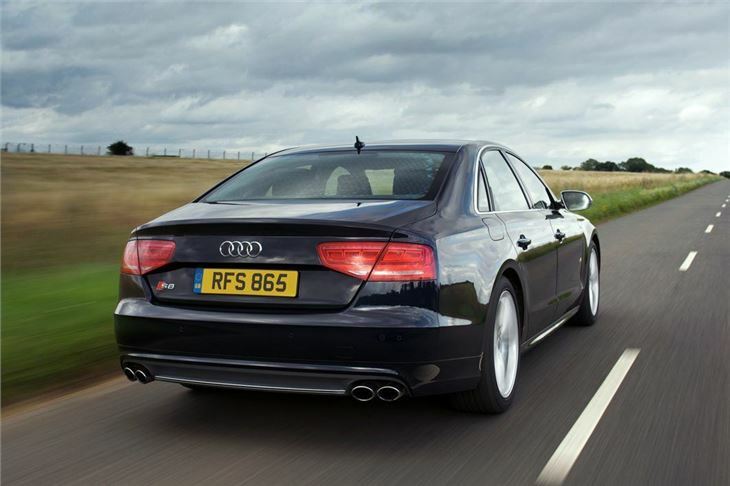 This makes the fuel consumption of the sonorous and smooth twin-turbo V8 all the more amazing: It averages 27.7mpg on the combined cycle, a considerable gain over its competitors and its predecessor, the 5.2-litre V10 in the previous S8 posted 21.4mpg in the equivalent test. This has been achieved despite a 70PS increase in output. Despite its bonkers performance figures, the S8 is as easy to drive and relaxing as any other A8, provided the driver isn't too sudden with their right foot. Refinement is excellent, with very little noise intruding into the cabin except for a subdued growl from the engine. Ride quality is very good thanks to standard air suspension, although it does firm up noticeably in sports driving modes. Like any other A8 there is a cavernous back row with loads of leg and headroom, plus there are creature comforts like climate control for rear seat passengers. 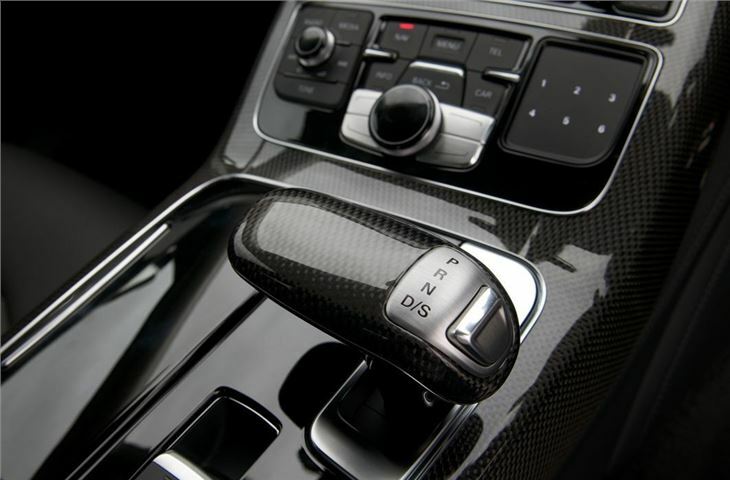 Up front, everything is electrically adjusted, plus there is a comprehensive infotainmeny system with Bluetooth connectivity. It's all very user-friendly and, being an Audi, it's effortlessly classy and very well-made. 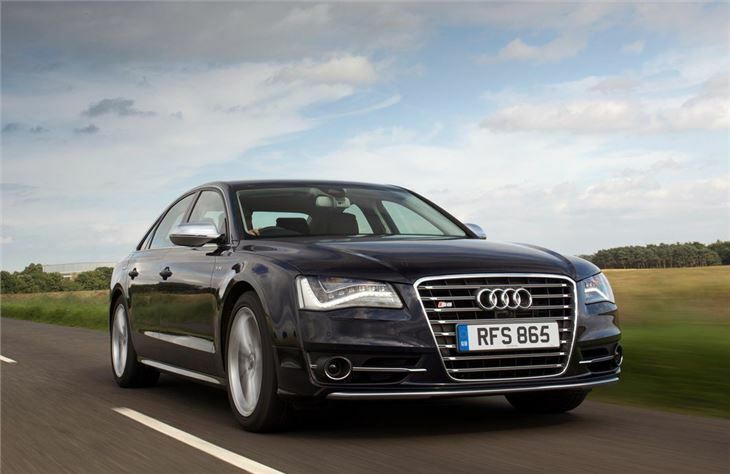 If you want your luxury limo with huge performance it's hard to do better than the S8. It might be expensive, but it doesn't have many rivals. The Mercedes-Benz S63 and S65 AMG models are more expensive than even the high-spec, 605PS S8 Plus - and neither offers better performance. 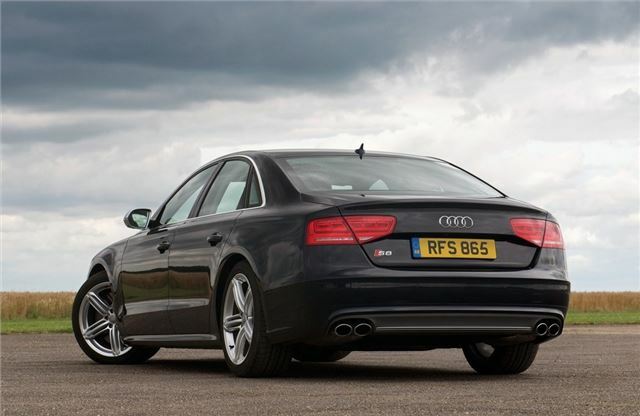 That makes the S8 our favourite high-performance luxury saloon, despite the high price.